Product prices and availability are accurate as of 2019-04-24 07:02:20 EDT and are subject to change. Any price and availability information displayed on http://www.amazon.com/ at the time of purchase will apply to the purchase of this product. Plain Paper Fax/Copier generates 20 multiple copies, as well as enlarges, reduces and collates. Fax machine is Caller ID compatible with two lines of up to 16 characters available in the display for the name and number of your incoming callers. 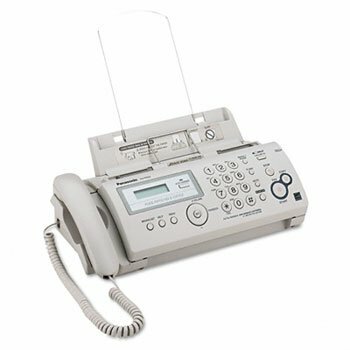 Automatic fax/phone switching eliminates the need for an extra phone line by connecting an external answering device (sold separately) to receive voice and fax messages on one phone line. Plain Paper Fax/Copier actually distinguishes between fax and voice calls. 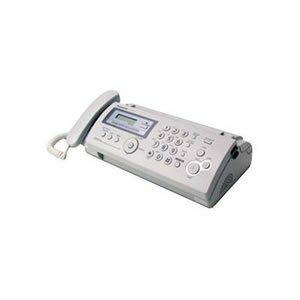 Offers Caller ID Waiting, monitor speaker phone, 10-sheet automatic document feeder, out-of-paper reception system, modem speed of 9.6Kbps and distinctive ring detection. Fax memory holds up to 24 pages (300KB). Automatic document feeder offers a 10-page capacity. Paper tray holds 20 sheets.